Fallout: The Board Game – Fallout is a post-nuclear adventure board game for one to four players. Based on the hit video game series by Bethesda Softworks, each Fallout scenario is inspired by a familiar story from the franchise. Dungeons & Dragons 5ed – The classic roleplaying game. Ask Gord about his campaign. 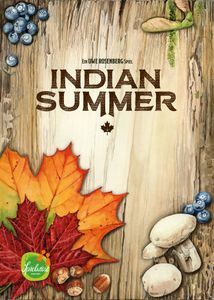 Indian Summer – Indian Summer is the second part of Uwe Rosenberg’s puzzle trilogy. At the heart of the game are puzzle tiles with holes that are placed on individual forest boards to cover up treasures. When players get their hands on these, they gain more options and an edge over their opponents. All that counts in the end is to be the first to cover your forest floor completely with leaves. The Godfather: Corleone’s Empire – You play as competing mafia families who are vying for economic control of the organized crime networks of New York City, deploying your thugs, your don, your wife, and your heir on the board to shake down businesses and engage in area-control turf wars. 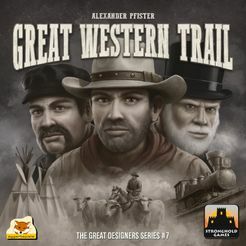 Great Western Trail – America in the 19th century: You are a rancher and repeatedly herd your cattle from Texas to Kansas City, where you send them off by train. This earns you money and victory points. However, the “Great Western Trail” not only requires that you keep your herd in good shape, but also that you wisely use the various buildings along the trail. Lord of the Rings LCG – A cooperative adventure game in which the players attempt to complete a scenario, each with three heroes of their choice and a deck of allies, events and attachments to support them. 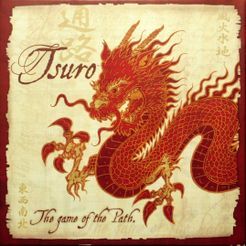 Tsuro – A simple game of laying a tile before your own token to continue its path on each turn. The goal is to keep your token on the board longer than anyone else’s. Machi Koro – A fast-paced game for 2-4 players. Each player wants to develop the city on their own terms in order to complete all of the landmarks under construction faster than their rivals. Edge of Darkness is the third Card Crafting Game from Alderac Entertainment Group. Players are the heads of powerful guilds in the city of Aegis. Each Guild vies with the others to become the leaders of the Aegis in a desperate struggle against great evil. But the Guilds must also work together because the dangers facing the city can harm them all. The Red Queen looms large over Wonderland, with many monsters and other frightful things at her command. Alice and her friends must do their best to ward off the Red Queen’s influence and restore peace. This card game will only be available for International Tabletop Day at your Friendly Local Game Store (i.e. The Sentry Box!) for this year’s event! Games Workshop announced at New York Toy Fair the release of two new boxed games that are self-contained sets with everything you need to play included – Blitz Bowl and Space Marine Adventures. Blitz Bowl is a new way to play Blood Bowl, where the teams are smaller, the games are faster but the action is just as intense. Space Marine Adventures allows 1-4 players to join forces and attempt to break into a Necron labyrinth. Fantasy Flight Games announce The Shadow City, the first Chapter Pack in the Dance of Shadows cycle for A Game of Thrones: The Card Game! The Shadow City marks the beginning of the fifth cycle of Chapter Packs—the Dance of Shadows cycle. Here, you’ll find the story advancing into the pages of A Dance with Dragons and the return of a beloved mechanic from the game’s first edition: shadows. Colony Wars – a deckbuilding game in the Star Realms series which is both a standalone box set for two players and an expansion for the base Star Realms set that allows it to be played as a four-player game. Galaxy Trucker – A tile laying game that plays out over two phases: building and flying. The goal is to have the most credits at the end of the game. You can earn credits by delivering goods, defeating pirates, building an efficient ship, and being the furthest along the track at the end of the flying phase. Tokaido – Each player is a traveler crossing the “East sea road”, one of the most magnificent roads of Japan. While traveling, you will meet people, taste fine meals, collect beautiful items, discover great panoramas, and visit temples and wild places but at the end of the day, when everyone has arrived at the end of the road you’ll have to be the most initiated traveler – which means that you’ll have to be the one who discovered the most interesting and varied things. The Grimm Forest – Welcome to The Grimm Forest, where family members of the legendary Three Little Pigs are having an epic house building competition. Using only their wits, a handful of sharp steel tools, and a few stacks of resources gathered at great risk from fields, brickyards, and even the dark and deadly Grimm Forest itself, each player must compete to be the first to build 3 Houses and gain the title of Royal Builder. Azul – Players take turns drafting colored tiles from suppliers to their player board. Later in the round, players score points based on how they’ve placed their tiles to decorate the palace. Extra points are scored for specific patterns and completing sets; wasted supplies harm the player’s score. Tichu – A partnership climbing card game, and the object of play is to rid yourself of your hand, preferably while scoring points in the process. A Feast for Odin – Players have to hunt, gather basic materials, refine those materials, develop their production-buildings, build/buy ships, and raid settlements. Napoleonic Wars – Set in 1805 Europe, you must weigh the strategic dilemmas facing the two alliances in mortal conflict. Charterstone – A competitive legacy game where you construct buildings and populate a shared village. Building stickers are permanently added to the game board and become action spaces for any player to use. Thus, you start off with simple choices and few workers, but soon you have a bustling village with dozens of possible actions. And here is work in progress of a couple of terminators from the first squad he is working on. Just a few more highlights and they should be pretty much done. Here are this week’s announcements and news stories. A cooperative deck-building legacy game of post-apocalyptic fantasy survival, that also expands all previous Aeon’s End content. Aeon’s End: Legacy is a full “campaign” where you’ll build your character over multiple “chapters,” fighting increasingly powerful nemeses to defend Gravehold, the last bastion of humanity. A cooperative board game based on the books by Brandon Sanderson where you must defend the city of Newcago and defeat Steelheart! This expansion for Viceroy supplies your pyramid of power with fastidious aristocrats and shady underworld figures. You will earn precious diamonds and fend of invading monsters. This expansion actually consists of three separate expansion modules all in one box, as well as revised law cards for the base game and new game modes for one and two players. Rocks of Ruin adds new ways to play Explorers of the North Sea. Score with salvaging Shipwrecks, building Structures and raiding Fortresses. In Lowlands, you carve your farm out of this unforgiving land, gathering and spending resource cards to transform your farmyard into pastures that allow you to profit from breeding sheep. Adding expansions to your farm will unlock new options and score you victory points, but helping to build the dike that collectively protects all players is also rewarded. No matter what, the tide will rise and, if the dike isn’t high enough, it could rush in and sweep away your hard-earned profits. Will you sacrifice your own farm for the good of the community, or will you pursue your own agenda? Fantasy Flight Games announce the two expansion packs that make up Wave XIV for X-Wing – Saw’s Renegades Expansion Pack and TIE Reaper Expansion Pack. With these two new expansion packs, you’re drawn directly into the breakneck starfighter conflicts of Rogue One and the beginning of the Galactic Civil War. You may fly with Saw and his partisans, willing to fight for freedom from the Empire at any cost. Or, you may join up with the Galactic Empire and ferry your elite troops into combat in a TIE reaper. Fantasy Flight Games announce Knights of Fate, a new sourcebook for Force and Destiny, focusing on the Warrior career and providing new specialization trees, species, gear, and narrative components to bolster the masters of battle in your campaigns. Since the release of Codex: Adeptus Custodes, many asked about getting rules for bringing models from Forge World’s Legio Custodes range into games of Warhammer 40,000. Games Workshop has confirmed that the Adeptus Custodes have been earmarked for being featured in a future volume of Imperial Armour and have released some of the experimental, non-final rules from this book ahead of time for feedback. Queendomino – Build up the most prestigious kingdom by claiming wheat fields, forests, lakes, grazing grounds, marshes, and mountains. Your knights will bring you riches in the form of coins — and if you make sure to expand the towns on your lands, you will make new buildings appear, giving you opportunities for new strategies. You may win the Queen’s favors … but always be aware of the dragon! 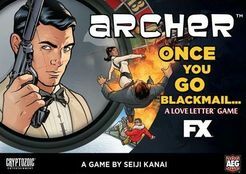 Archer: Once You Go Blackmail – This game takes the engine at the heart of Love Letter and adds intrigue, vice, and phrasing as well as new card effects. When I Dream – The night has fallen and your mind is floating in the magical world of dreams. But the Dream Spirits want to have some fun tonight! They are giving their best and the dreams become strange and surreal. Become the dreamer, put on your sleeping mask and try to figure out your dream and which spirits are the Naughty ones. Become a good spirit and help the Dreamer by giving him clues about the dream before the naughty spirits mess it up. Close your eyes and dive in! Dixit – One player is the storyteller for the turn who provides a verbal clue to one of the images on the 6 cards in her hand. Each other player selects the card in their hands which best matches the sentence. All pictures are shown face up and every player has to bet upon which picture was the storyteller’s. Cards Against Humanity – Play begins with a judge, known as the “Card Czar”, choosing a black question or fill-in-the-blank card from the top of the deck and showing it to all players. Each player holds a hand of ten white answer cards at the beginning of each round, and passes a card (sometimes two) to the Card Czar, face-down, representing their answer to the question on the card. The card czar determines which answer card(s) are funniest in the context of the question or fill-in-the-blank card. Lords of Waterdeep – A strategy board game for 2-5 players, you take on the role of one of the masked Lords of Waterdeep, secret rulers of the city. Through your agents, you recruit adventurers to go on quests on your behalf, earning rewards and increasing your influence over the city. 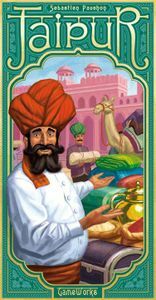 Jaipur – A card game for two seasoned traders! You are one of the two most powerful traders in the city. But that’s not enough for you, because only the merchant with two Seals of Excellence will have the privilege of being invited to the Maharaja’s court. You are therefore going to have to do better than your direct competitor by buying, exchanging and selling at better prices, all while keeping an eye on both your camel herds. Warhammer Fantasy Roleplay -You are unlikely heroes in a grim world of perilous adventure. You venture into the dark corners of the Empire and deal with the threats that others cannot or will not face. You’ll probably die alone in some festering hellhole, but maybe, just maybe, you’ll survive foul Mutants, horrible diseases, insidious plots, and sanity-blasting rituals to reap Fate’s rewards. 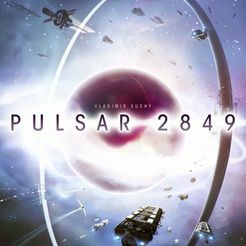 Pulsar 2849 – Draft dice to explore the universe in Pulsar 2849. Each round, roll dice based on the number of players, sort them based on their values, then draft dice to take actions. Finished! – A puzzle-solving game, a completely new way to play solitaire. Terraforming Mars (with Venus Next Expansion) – You play one of the giant corporations terraforming Mars. You work together in the terraforming process, but compete for victory points that are awarded not only for your contribution to the terraforming, but also for advancing human infrastructure throughout the solar system, and doing other commendable things. Agents of Mayhem – Pride of Babylon is a team vs. team skirmish boardgame for 2 to 4 players. The game is played on a modular 3D board that is fully destructible. You and your opponents will play through a radiant story where every choice you make will have effects that ripple throughout the campaign. A deck-building game where particle physics & chemistry collide! Use quarks to build subatomic particles & particles to build Atoms. Fantasy Flight Games announce Kampala Ascendent, the sixth Data Pack in the Kitara Cycle for Android: Netrunner The Card Game. Kampala Ascendent completes the Kitara Cycle, bringing many of its themes full circle. Prepare to find many cards that supplement the tools found and established in the Revised Core Set, as well as some fresh ideas. Greater Than Games announced its collaboration with celebrated game design studio Underbite Games to develop Sentinels of Freedom. Sentinels of Freedom is a turn-based digital tactical game based on the Sentinel Comics: The Roleplaying Game, designed by Christopher Badell and Adam Rebottaro. Space Empires – Space Empires is a game in the finest tradition of 4X space games – eXplore, eXpand, eXploit, and eXterminate. Each player builds up a space empire and uses it to conquer the other players. Colony Wars – Colony Wars is a deckbuilding game in the Star Realms series which is both a standalone box set for two players and an expansion for the base Star Realms set that allows it to be played as a four-player game. Animal Upon Animal – A simple stacking game with 29 cute wooden animals. Smiths of Winterforge is an exciting new game coming this year from Passport Game Studios and partners Rule & Make. The forges of the Dwarven city of Winterforge have fired up once more. The royal centenary contract is up for renewal and only one of the legendary guilds can win the favor of the royal family and claim the contract as their own. Players take control of a guild that has to earn money and reputation to ensure they are chosen for the royal centenary contract. Greedy Dragons is a simple but strategic card stacking game. Overlap cards and build Lairs to collect all the gems—and leave your opponents empty-handed! Play one-on-one or team up with other dragons to maximize your loot. Fantasy Flight Games announce Someone Always Tells, the sixth Chapter Pack in the Flight of Crows cycle for A Game of Thrones: The Card Game! This is the sixth Chapter Pack of the Flight of Crows cycle, and it brings a fitting conclusion to the major themes explored in this cycle. You’ll find new cards with the bestow keyword, an attachment and a location devoted to the faith of The Seven, and cards that reward players for forging alliances between the factions. You’ll also discover plenty of recognizable characters and locations from the saga that you can add to your decks, such as Mace Tyrell, Qyburn, and the Great Sept of Baelor. Fantasy Flight Games announce the upcoming release of The Forgotten Age, a new deluxe expansion for Arkham Horror: The Card Game. In The Forgotten Age, one to four players embark on a scientific expedition to the rainforests of southern Mexico with five new investigators. Here, you and your team will venture deep into dark rainforests and forbidden caverns in two new scenarios, which form the beginning of a new campaign for your investigation team as you step back into The Forgotten Age. In The X-Files: Conspiracy Theory – Everything is Connected, players take turns being Fox Mulder as he uses the provided clues to explain his conspiracy theory to his FBI superiors. Mulder weaves together the conspiracy, and the superiors must deduce the way the rest of the room will vote. 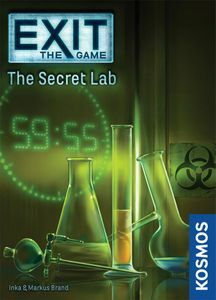 The game includes a second game mode, based on Jose Chung, from one of the most famous episodes of The X-Files: “From Outer Space”. Other players play as witnesses to a paranormal event and Jose Chung must look at all the evidence they provide and create a complete narrative that ties all their stories together. The Warhammer Community and Studio Preview at the Las Vegas Open unveiled awesome reveals for every Warhammer fan! The Drukhari, T’au Empire and Necrons are getting new codexes that will give these armies exciting new mechanics and subtle tweaks. A new kind of Imperial Knight will rise (Knight Armigers) that will open up new tactical possibilities for Imperial Knights players, and the Necrons will be receiving reinforcement from a new character. This particular Cryptek is the first ever to be cast in plastic and features what looks like some new wargear. Following Maggotkin of Nurgle and Legions of Nagash, the Daughters of Khaine battletome presents Aelves as you’ve never seen them before, and the Chosen Axes are Warhammer Underworlds: Shadespire’s latest warband, bringing with them new fighters, new tactics to master and loads of new cards that every warband will be able to make use of.